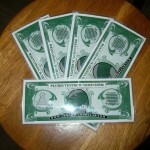 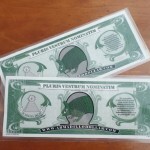 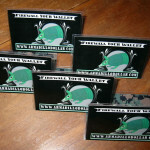 $59.80 for a 5 pack of rfid shields, the Armadillo Dollar Originals, which can be used for wallets, clutches and other personal rfid shield protection. 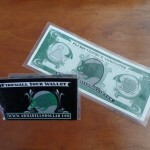 $29.95 for the rfid shield combo pack, one Armadillo Dollar Original and one Dilly Black Card Folder, great protection for your wallet. 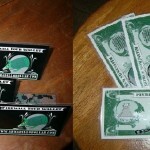 $24.95 for two Armadillo Dollar Original rfid shields, great for a clutch, one on each side of your cards, or most wallets. 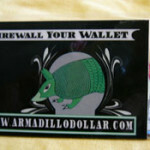 $19.95 for one Armadillo Dollar Dilly Black Card Folder that holds up to five plastic cards, and slips into a wallet or clutch for wireless pickpocket prevention. 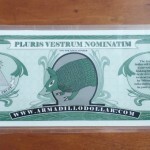 $14.95 for the best rfid shield on the market, the Armadillo Dollar Original, which covers all currently used frequencies for door access, employee badges, credit and debit cards.